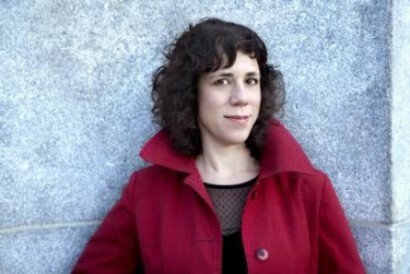 Jami Attenberg is the author of The New York Times bestseller The Middlesteins. Her new book Saint Mazie brings to life the big-hearted Queen of The Bowery who held court from the ticket booth of The Venice movie theatre. Weaving together fictionalised diaries, writings and interviews, Attenberg has constructed a portrait of a remarkable woman and a moving vision of Prohibition era New York. We spoke with her before her appearance as part of our Rising Stars programme, on the Festival’s opening evening, Monday 12 October. Your new novel focuses on Mazie Phillips, an extraordinary real woman. How did you find out about her, and what drew you to write about her? Joseph Mitchell originally wrote about her in The New Yorker, and the piece was later included as part of his seminal collection, Up in the Old Hotel. But I first learned about her from a friend of mine who was opening a bar called St. Mazie. He told me how much he had been inspired by her story, and then I went on to read as much as I could about her – although there’s really not too much beyond the original Mitchell essay. Anyway, I found her to be an incredibly complex and engaging figure, deeply flawed but also incredibly charitable. She was instantly iconic to me, and I knew I had to write about her. He was such a surperior storyteller and amazing craftsman of the sentence, it doesn’t bother me one bit that he compressed some of the details. I think people were pretty aware in his era about his process. I think we’re all the better for his editors allowing him to tell stories the way he wanted to tell them. What writers have shaped and inspired you? So many! Grace Paley, Toni Morrison, Raymond Carver, Flannery O’Connor. So many bits of poetry and short stories, beautiful paragraphs and sentences. I’m influenced by my peers. I love Maria Semple’s work, Patrick DeWitt, Meg Wolitzer, Chinelo Okparanta. I loved Mat Johnson’s new book Loving Day. Americanah was one of my favorite reads of the last few years. Franzen and Ferrante. Nora Ephron. Judy Blume. I could go on forever. I’m reading Between the World and Me by Ta-Nehisi Coates. A little non-fiction between novels clears my head and also this book is extraordinary and important. Lots of daydreaming and staring at the ceiling and riding my bike and petting my dog. It’s our tenth anniversary this year so we’re asking everyone to tell us: what was your favourite book when you were ten? Probably Are You There God? It’s Me, Margaret by Judy Blume. See Jami read from and discuss Saint Mazie alongside Villa America and Tigers in Red Weather author Liza Klaussmann at the Anthony Burgess Foundation on Monday 12th October at 8pm. Tickets (£6/4) can be booked on 0843 208 0500 or via our website, and will be available on the door.